We get precious little sunshine here in the UK for most of the year. The summer months can create all kinds of havoc when it does finally pop out from behind the clouds. We all want plenty of light to get into our homes through our windows, but the ultraviolet (UV) element of sunlight has other, less desirable effects. For example, faded furniture, photographs and wallpaper, unbearable indoor heat and even skin problems can all result from too much exposure to the sun. There is a simple solution to all of these problems. Reducing window glare and still letting you enjoy the all-too-short British summer: solar control window film. Solar control window film is easily fitted to your existing windows and reduces some undesirable effects of the sun. You can use it to block out as much or as little of the sun’s light as you desire. 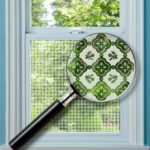 Making it a flexible, lower-cost alternative to blocking up or replacing the glass in your windows. A coloured window film with UV protection can save your furnishings, wallpaper and paintwork from fading in the sunlight. There are also a number of health benefits associated with reduced exposure to UV light, which is linked to eye and skin problems. The UV protection window film from Purlfrost can block up to 99.5% of the harmful rays – compared to Low-E glass which stops just 60%. At the other end of the spectrum is infrared light – which is the part that causes heat. Heat rejection and window insulation film reduces the excessive build-up of heat on hot sunny days. The film is made of a thin, self-adhesive metallised material that is designed to block the infrared light and preventing it from filtering into your home. Heat rejection and window insulation film also help to limit heat loss in winter. With the same ultraviolet light protection mechanism allowing it to block heat from entering your home in the summertime. How much money you can save will vary, depending on your home. But, the less you need to use your heating to top up the temperature the more money you will save. Another benefit of solar control window film is that it can reduce window glare. Various grades of the film are available to block out as much or as little light as you require. Tinted window film may help with home office productivity if you get reflections on your monitor screen. 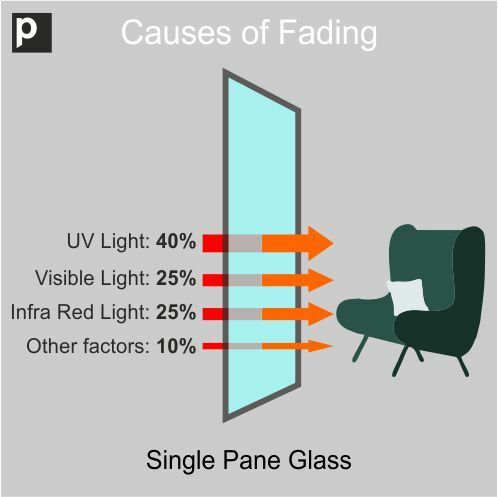 Purlfrost solar control film can reduce glare by as much as 90%. You can add style to one or more windows in your home by using coloured film, reflective films (which also help to prevent a room from turning into a greenhouse) or even blackout films that block all of the light completely. Because the film can be removed later, it is ideal for temporarily creating a darkroom or adding a splash of colour for a sporting event or public celebration. How hard is it to apply and remove window film? The self-adhesive window film is ordered in the specific size you need. You apply with a soapy water solution and a squeegee. This makes it simple for even an inexperienced DIY fitter to apply it without bubbles. Full instructions are provided, and there are even videos on the Purlfrost website to show you how easy it is to install. If you decide that you want to remove the window film at a later point in time, this can easily be done (a minimum of four weeks after application) with just a spray bottle of soapy water and a glass scraper. During its life, the film can be cleaned – only soapy water and a squeegee are required as anything abrasive could scratch and damage the film. Purlfrost is a specialist window film provider serving the United Kingdom with high-quality adhesive window products. We have been supplying the UK with window film, window stickers and wall coverings since 2003. The solar film offers a modern alternative to blinds or curtains for homes and offices. 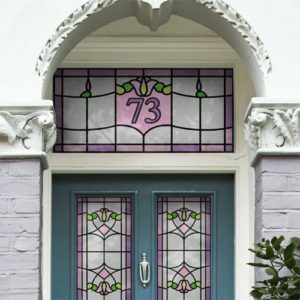 Whether you want to protect your privacy with a frosted or reflective window film or add period appeal to your property with a custom-printed stained glass-style door design, our range of premium window film has the solution to your problem. All our products can be delivered directly to your door and they are easily applied in a matter of minutes.